The North West Growth Centre (NWGC) is approximately 10,000 hectares in size and is expected to provide about 70,000 new homes over the next 30 years. 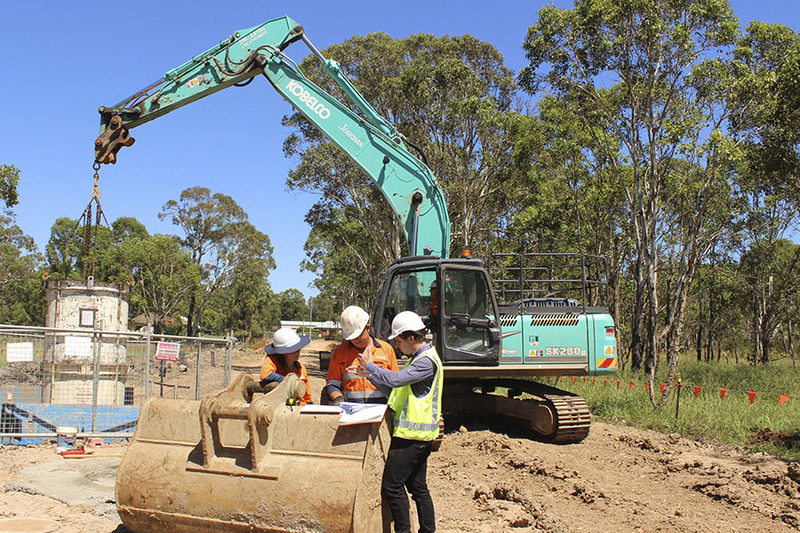 As part of this program of work Sydney Water engaged Veolia Water to construct wastewater lead-in mains at Riverstone and Vineyard. Flagship worked as part of Veolia’s team to manage Community Relations on the project. The work involved entering private property to clear a construction corridor and using trenching or boring to install the pipes and supporting infrastructure. Flagship Communications was responsible for preparation and implementation of the Community and Stakeholder Engagement Plan (CSEP) which included the preparation of all notification letters, negotiating pre-construction agreements with property owners, management of inquiries and complaints, training of staff in community relations, and ensuring compliance with Sydney Water’s community relations, guidelines, protocols and procedures. During this project Flagship Communications also used a variety of innovative methods to capture the progress of the work including flying drones which filmed the works from the air. Prior to the start of work Flagship Communications worked closely with key stakeholders such Blacktown and Hawkesbury Councils to address concerns and provide information to concerned property owners. As a result of our work Veolia and Sydney Water are on track to achieve the objectives of the project within the specified time frame.